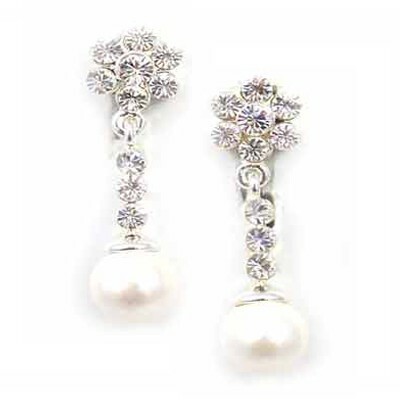 Small, but beautifully-formed, these charming little earrings feature a small daisy and small trail, tipped with a tiny glass pearl. Designed for everyday wear, weddings and any time you need to give an outfit a delightful lift. Size: 3cm (1¼").